MindKey’s performance management transforms your procedures for aligning people to strategy, measuring performance, and rewarding success into highly engaging, personalized development plans that inspire greatness. 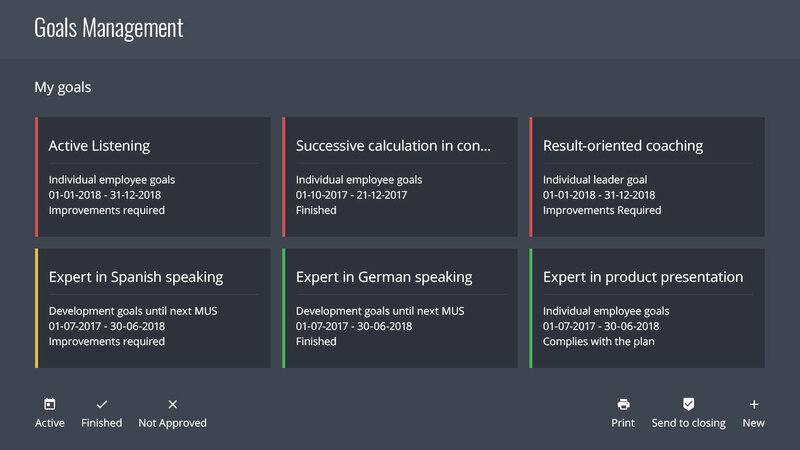 Our solution is a highly configurable solution that lets you assess performance and gather feedback on an ongoing basis to get the best results out of your employees. With MindKey goal management, you can engage employees and align organization goals with individual growth. Set “SMART” goals, support cascading goals, track progress and determine if goals are on-target. 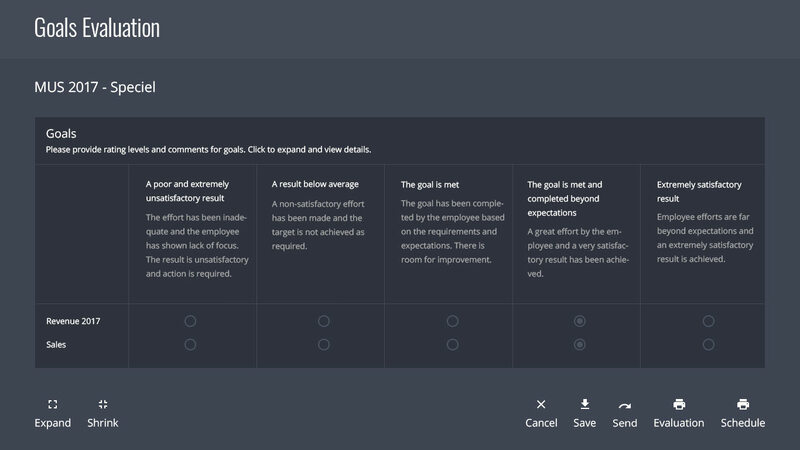 MindKey’s goal management functionality includes goal links that shows each employee how their individual performance goals align and support the organization’s strategy. A performance goal summary illustrates overall progress against current goals for both employees and managers. MindKey automates, simplifies, and streamlines the entire employee performance evaluation process. MindKey performance appraisals improve the quality of feedback and provide objective input for compensation and career discussions as well as for succession planning. Managers gain a valuable instrument for monitoring employee performance evaluations, and the discussions can be documented and implemented continuously. MindKey talent review is a strategic tool for identifying and developing talent at all levels in the organization. The tool enables you to take a closer look at “who’s” on your bench, including who should be developed, who should be groomed for leadership and, in some cases, who should be moved to another role. 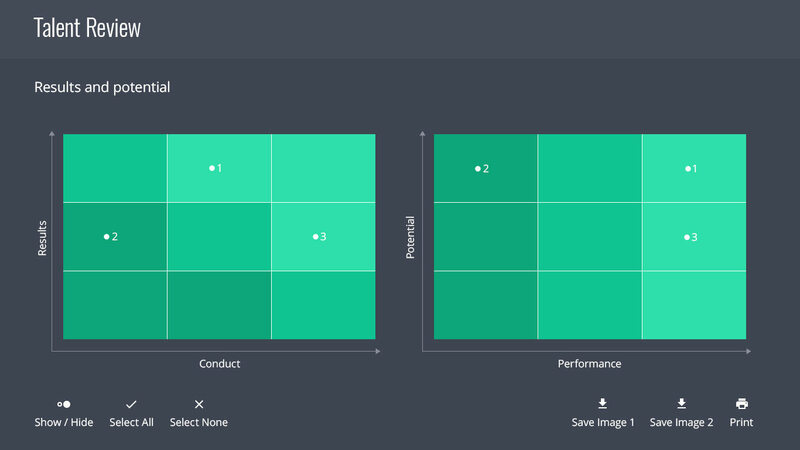 The 9-box grid, which plots behaviour against results and/or performance against potential, is a valuable talent review tool for HR professionals and for managers across all levels. MindKey 360 degree feedback is an action-oriented tool for identification and evaluation of strengths and development opportunities for each individual manager. It´s a complete feedback from the stakeholders, that one relates to most commonly. The evaluation is carried out through a survey, containing your preferred choices of questions and answers. Kontakt os og få en uforpligtende præsentation af systemet.